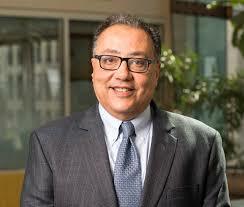 The World Bank has appointed Hafez Ghanem as the new World Bank Vice President for Africa, effective July 1. A development expert with over 30 years of experience, Ghanem will lead an active regional portfolio consisting of over 600 projects totaling more than $71 billion. intensify its work in fragile and conflict-affected states. Ghanem brings a wealth of experience to the position, having worked in more than 30 countries in Africa, Europe and Central Asia, Middle East and North Africa, and Southeast Asia. Previously the World Bank’s Vice President for the Middle East and North Africa, he led engagement in the region through a portfolio of ongoing projects, technical assistance and grants worth more than $13 billion.